At The Legacy at Highwoods Preserve, our memory care services include our unique program of activities we call Connections. 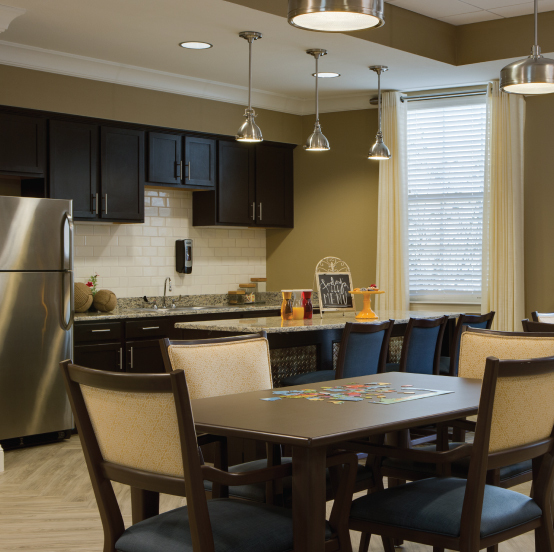 Connections’ activities are designed to help each memory care resident live an active and purposeful life. The activities enable residents to grow stronger, both physically and mentally, and form connections with their fellow residents and community staff members. Connections empowers our residents to not just live, but live a life well.